The “Made In America” festival came and went Labor Day weekend with a few minor hitches, but plenty of questions remained about whether the first-ever ticketed event on the Ben Franklin Parkway was a success. 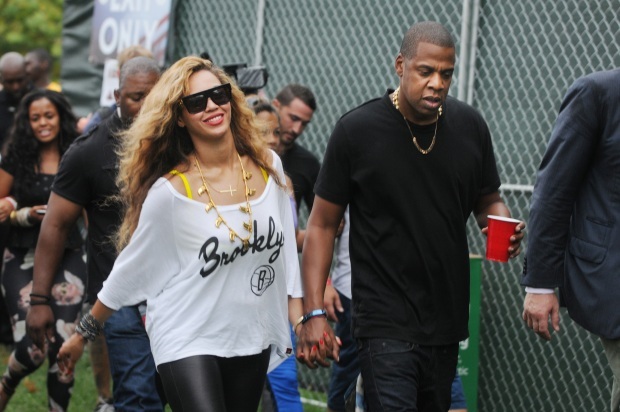 On Tuesday, as crews cleaned up the mess left by the Jay-Z and Pearl Jam (they even joined each other on stage) headlined festival, NBC10 started asking questions about whether the festival was a financial success. There were 100,000 tickets -- 50,000 for each day -- and it never sold out. Folks from both the promoter, Live Nation, and Mayor Michael Nutter’s office, did not have exact numbers on the cost of the large-scale event. Organizers, however, called the event a success. A Live Nation spokesman even said they would like to make MIA an annual event. The festival drew around 86,000 people to the foot of the Art Museum steps to see an eclectic lineup that included Pearl Jam, Run DMC, Passion Pit, Drake, Skrillex, Jill Scott and more. 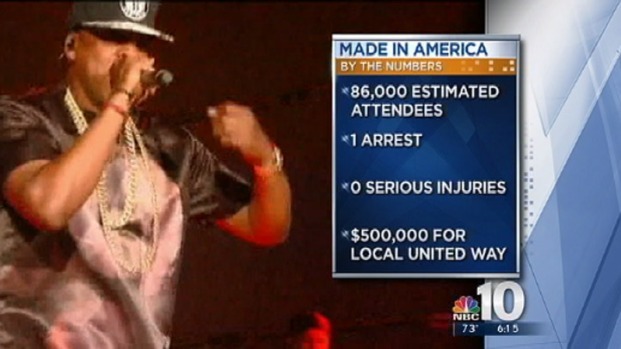 Vince Lattanzio breaks down the Made in America event by the numbers. 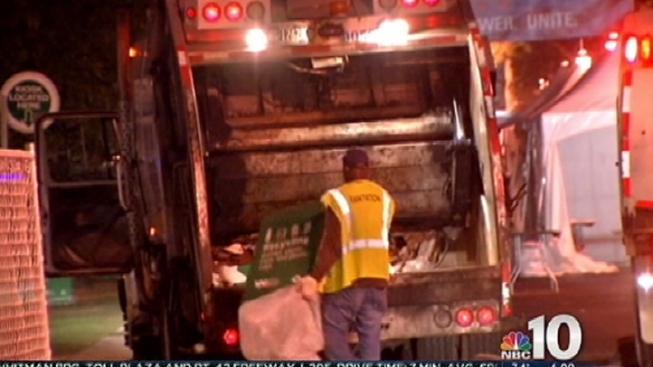 On Monday, Philadelphia Deputy Mayor for Administration and Coordination and Managing Director Rich Negrin told NBC10’s Vince Lattanzio that the festival needs to be measured by what it does for Philadelphia's image. MIA drew music fans from near and far and was streamed live both days on YouTube and Pandora. So far, so good, according to Negrin.